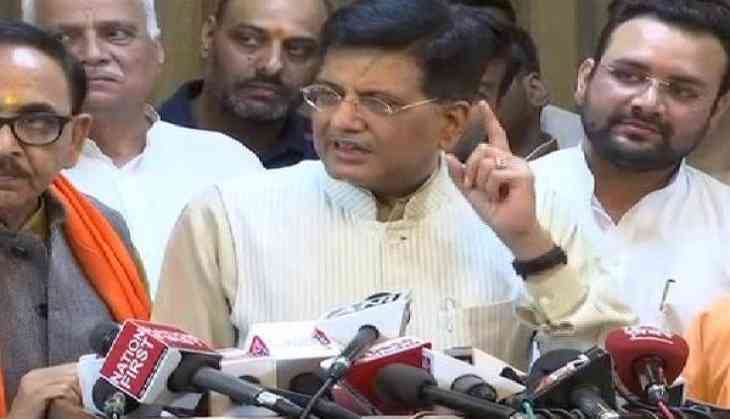 Union Minister of Railways and Coal Piyush Goyal on Friday said the Bharatiya Janata Party-led National Democratic Alliance (NDA) contested the Rajya Sabha polls with unity and without any obstruction. The minister in a press conference thanked its alliance partners -- Suheldev Bharatiya Samaj Party chief Om Prakash Rajbhar and the Apna Dal Party president Atique Ahmad. "I thank and congratulate Chief Minister Yogi Adityanath, Deputy Chief Minister Dinesh Sharma and Keshav Prasad Maurya Maurya Ji, Prime Minister Narendra Modi, our alliance partners, and party MLAs for their support in fighting the polls on Friday," said Goyal. The minister also congratulated the people of the state in strengthening the BJP in the Rajya Sabha. "I hope the BJP gains a majority in the Centre so that the party can pass laws that benefit the country and defeats the Congress in the country," he said. The BJP on Friday won 9 of the 10 Rajya Sabha seats from Uttar Pradesh. At least 59 seats will fall vacant in Rajya Sabha in April. Result of Narendra Modi-Tim Cook meet: Apple Pay to be used for Jan Dhan Yojna?